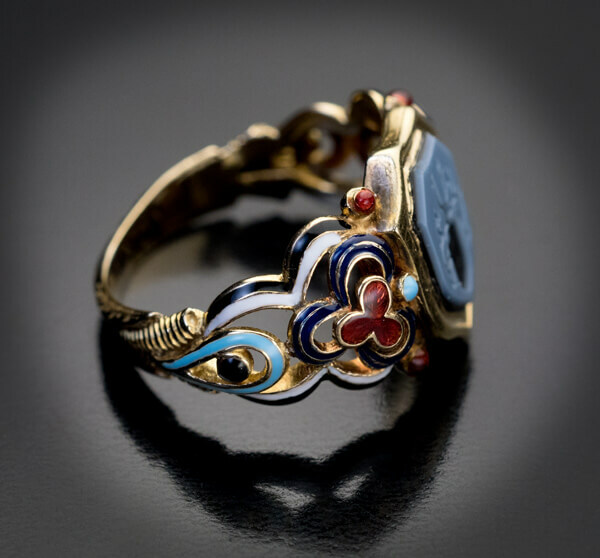 This antique 19th century 14k gold signet ring is designed in Renaissance revival style. 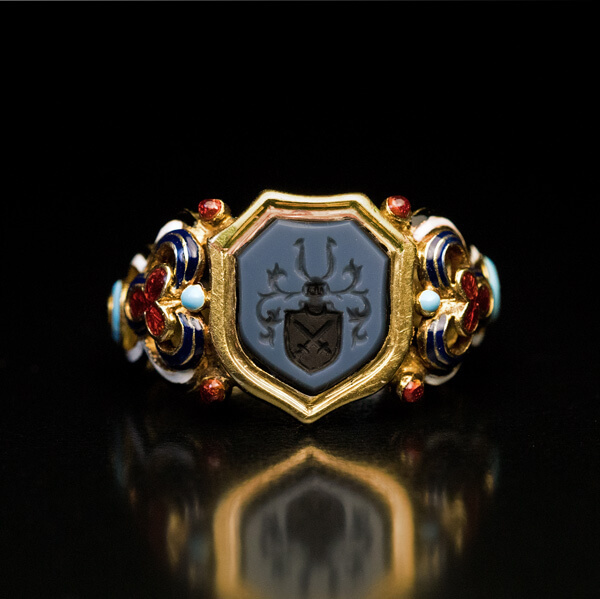 The ring is centered with a shield-shaped bluish gray agate intaglio carved with a coat of arms. 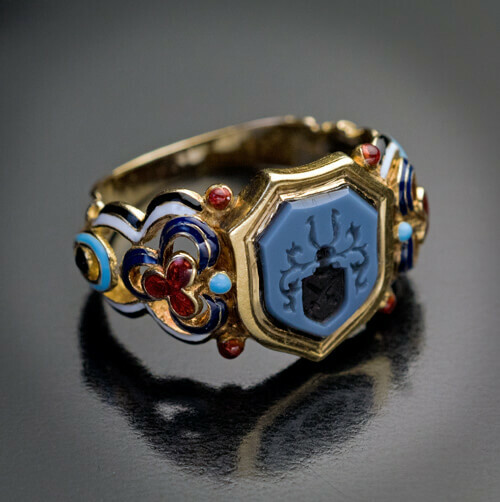 The intaglio is flanked by elaborate Renaissance style openwork shoulders with stylized trefoils, embellished with multi-color opaque and translucent enamels.